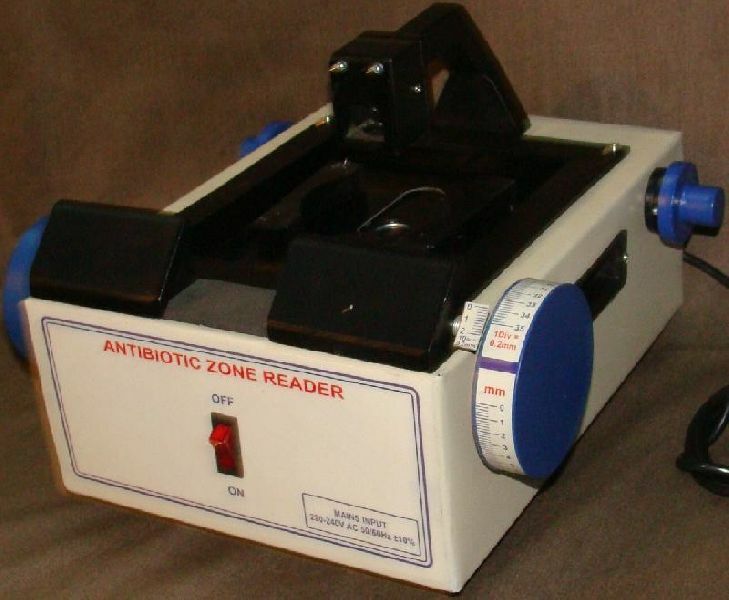 The antibiotic zone reader provides a rapid accurate method for determining the strength of antibiotic materials by measuring the diameter of an inhibited zone in petri dish. This zone reader measures the diameter of the inhibited zone to 0.02mm. with the range of 0 to 35mm. work on 230volts A.C. 50 C/S.